Want to unlock the bootloader of your Galaxy Nexus; here is a quick tutorial that should help you. Being a Nexus smartphone, unlocking the bootloader of Android 4.0 powered Samsung Galaxy Nexus is fairly easy, but you need to be sure by unlocking bootloader wipes your phone, so your phone will be back to factory state after the following steps are completed. So make sure to make a backup the necessary data/SMS/Call log etc. 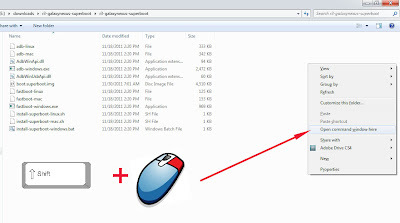 STEP 2: Download PdaNet and install, it installs the required drivers to work with the following steps. STEP 3: Extract the download zip to a folder using Winzip, WinRAR, 7Zip or any compressing application of your choice. 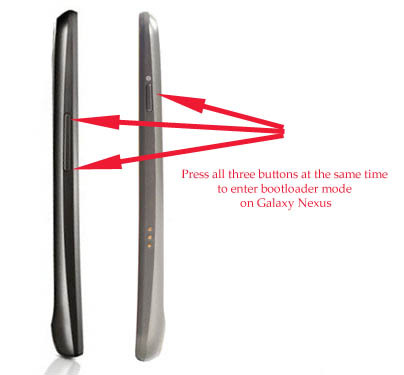 STEP 5: Turn on your Galaxy Nexus in Bootloader mode [How to do that – Press 'volume up' and 'volume down' and ‘power button’ at the same time] [See the image below]. 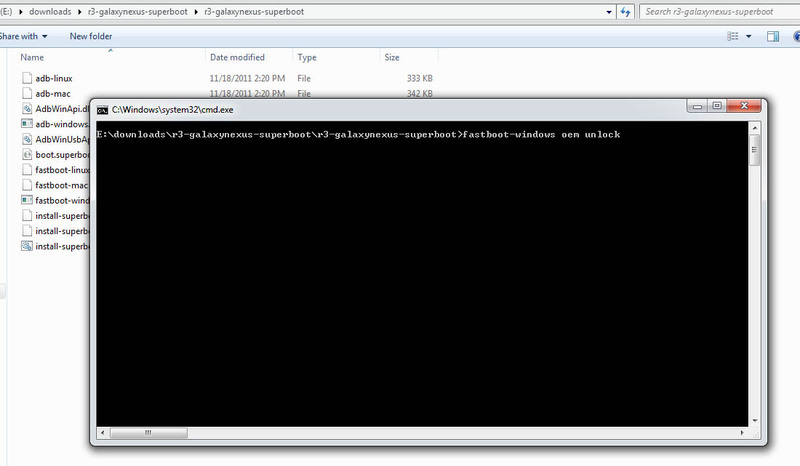 STEP 6: Go to the extracted folder and press SHIFT and right click, then click on “open a command window here”. STEP 7: Type fastboot-windows oem unlock in the command window and hit enter. 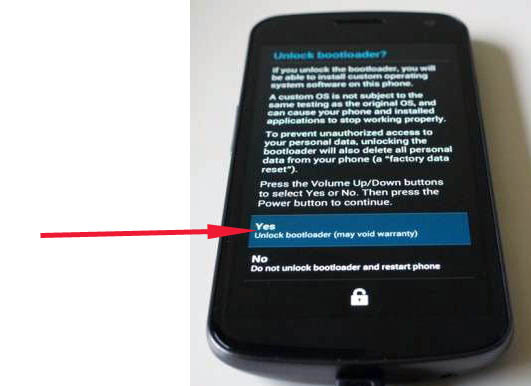 STEP 8: Your Galaxy Nexus will ask you that whether you are sure that you want to unlock bootloader, press YES. You are done, enjoy. Now if you also want to root you Galaxy Nexus, then follow the guide at this link from STEP 6. Hello world! - Welcome to WordPress. This is your first post. Edit or delete it, then start writing! The post Hello world! appeared first on India Droid.